Cables for Extenders Cat5/Cat6 Cable for use with Cat5/Cat6 extenders and Baluns. Solid conductor cable is recomended if possible. Shielded cable is recomended with most products, especially in harsh environments. 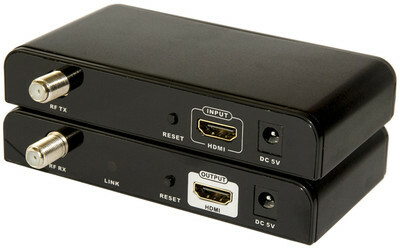 Component Video: Extend Component Video (Y-Pr-Pb) using a signal booster or with Cat5/Cat6 cables.